Looking for an essential oil that has plenty of benefits and uses? Lavender oil is everything that you need. It’s very versatile oil that has different uses from relaxing and calming yourself to healing cuts and bruises faster. Carrying a bottle of lavender oil is like having your own personal first-aid kit. Check out a few awesome benefits of lavender essential oil. If you have a headache, rub a few drops of lavender oil on your temples. It will relieve headache and you will feel much better. I’ve tried this tip recently and it really works! That’s why it tops my list of the most incredible benefits of lavender essential oil! Lavender oil can also help to stop nose bleeding. Just sprinkle a few drops of it on a tissue, wrap it around a little chip of ice and hold it at the base of your nose. It should soon stop nose bleeding. Many people use lavender oil for aromatherapy and massages. It helps to relieve sore and achy muscles. I use lavender oil when I exercise a lot, it helps me, and I’m sure it will help you as well! If you’re suffering from dermatitis or eczema, you can use lavender oil to treat it. You can apply a few drops of oil directly or add it to other carrier oils. It will provide a soothing effect against those itchy feelings. This is another wonderful benefit of lavender essential oil and also a reason to have this oil in your house. Apply a few drops of lavender oil directly on to a bee sting or minor burn for an immediate soothing effect. Motion sickness is a common problem faced by a lot of people these days. If you know that you’re prone to motion sickness, be sure to take along a bottle of lavender oil. Place a drop of this oil around your navel, on the end of your tongue, or behind your ears. I will help to reduce the symptoms of motion sickness. I’m sure you’ve already heard that lavender oil has a calming effect on the nervous system and it helps relax the mind and body. It can also help you fall asleep faster, if you’re an insomniac. If you have chapped or sunburned lips, rub a few drops of lavender oil on them. It’s one of the best ways to keep your lips look beautiful, healthy and soft! You can also mix lavender oil with other carrier oils and apply on to rashes. It will reduce burning sensation, provide soothing against the itchiness, and initiate a faster healing process. I also use lavender oil as a room freshener. I love its beautiful odor. I just sprinkle a few drops of the oil around my house and it creates a really pleasant and soothing aroma. Amazing! Are you looking for a great way to relax after a stressful day at work? Add a few drops of lavender essential oil to your bath or massage it with any other carrier oil to your body. It will help to relax your mind and body! 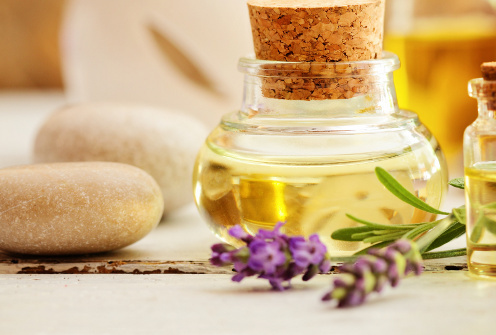 Now that you are aware of all the fabulous benefits of lavender oil, what are you waiting for? Go out and buy a few bottles of this essential oil! Do you know any other benefits of lavender oil? How do you use it? Please share! I might want to try out your suggestions, too!